Who is Stephanie Dawn? KAM Manufacturing is a family owned business and Stephanie Dawn just happens to be the granddaughter of the woman who started it all. They could not think of a more beautiful name for such a lovely line. Located in Van Wert, OH, KAM Manufacturing has produced highly sought after quality quilted handbags for more than 25 years. 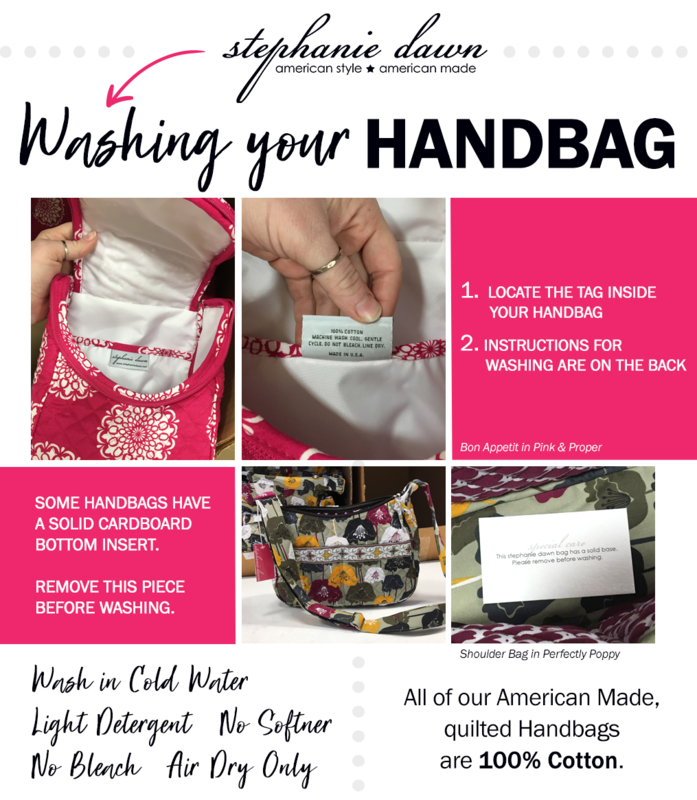 In 2008 they noticed the decline of quilted purses and handbags being made in the USA and decided to design, manufacture and distribute their very own line. KAM Manufacturing is dedicated to providing quality American Style, American Made handbags, lanyards, wallets and more to the nation and quality jobs to Ohioans as they look to the future of their newest line.